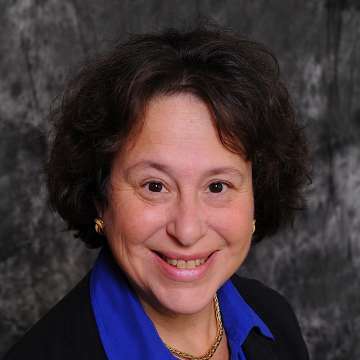 Karen M. Pechman, M.D., is the Medical Director of Physical Medicine and Rehabilitation at Burke Rehabilitation Hospital. She is the Medical Director of Burke's Amputee and Orthopedic Rehabilitation Programs. She is a board certified physiatrist, specializing in all aspects of rehabilitation medicine. She also serves as the Medical Director of Electromyography and Electrodiagnostic Services and the Medical Director of Orthotic and Prosthetic Services at Burke Rehabilitation Hospital as well as the Designated Institutional Officer (DIO) of Graduate Medical Education at Burke Rehabilitation Hospital. She is a nationally-recognized authority and is cited as an expert in physical medicine and rehabilitation. Dr. Pechman is also a Fellow of the American Academy of Electromyography and Electrodiagnosis, as well as a Fellow of the American Academy of Physical Medicine and Rehabilitation. She has been honored as a Most Distinguished Doctor in both Westchester and the NYC Metro Area.